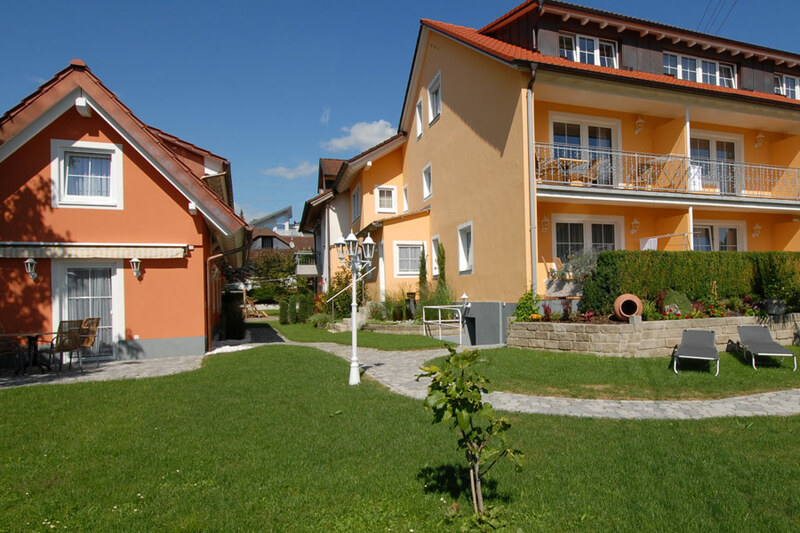 The "LANDHAUS LAUGELE" resort is located in the beautiful area of Nussdorf, Zum Laugele 1. It is made up of 6 large and sunny apartments and a cottage; only 250 meters from the beach swimming area. All of the accommodations are bright and are furnished in countryhouse style, so you truly do feel like home. The Landhaus Laugele can be booked through the Schäpfle Hotel. We do not accept credit cards. An infrared sauna, light shower, and fitness equipment are available to guests. A supermarket (Kaufland) is about a 5 minute walk from the Landhaus Laugele, and a bakery is also nearby.